Come and enjoy SOYA’s 200hr Extended Creston, BC. The extended program is an excellent choice for those who cannot get away for an immersion. The program gives you time to learn more gradually and put the studies into practice before the next session. 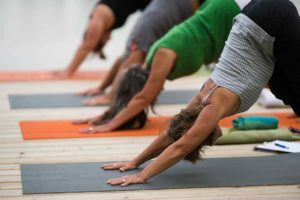 SOYA’s curriculum will help you excel at your yoga teacher career and your yoga lifestyle. Enjoy training in a small group where all your questions can be addressed in a safe and welcoming environment. Some classes may be joined by others who are interested in receiving deeper teachings in specific areas. Location: The Yoga Room Creston, 1204 NW Boulevard, Creston, BC. For more information and exact dates go to Smiling Heart Yoga. Gail was introduced to yoga by watching Erich Schiffmann’s video “Yoga, Mind and Body”. It was love at first practice! A need to learn more yoga philosophy led her to take teacher training. She is committed to creating a supportive space for students to explore self-awareness, self-acceptance, and inner presence through breath, movement and stillness. She teaches Hatha yoga from dynamic to restorative with playful encouragement. Gail is influenced by the teachings of Erich Schiffmann, Marion McConnell, and Rod Stryker. She completed her 500 hour teacher training with SOYA and Freedom Yoga with Erich Schiffmann. Teaching since 2003, she is a an E-RYT500 with Yoga Alliance and a full teaching member with International Yoga Teachers Association. 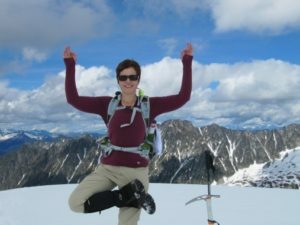 Gail is lead trainer for the SOYA 200 hour yoga teacher training in Creston, BC.